Antique 5 sapphire & 5 diamond ring. Product code: 981 Categories: Sold Items, Sold Rings. Here is a very attractive antique sapphire and diamond ring that is so different from all the others. Set with 5 sapphires and 5 old cut diamonds, the way it is made in two rows is just sensational and will always stand out on the finger. 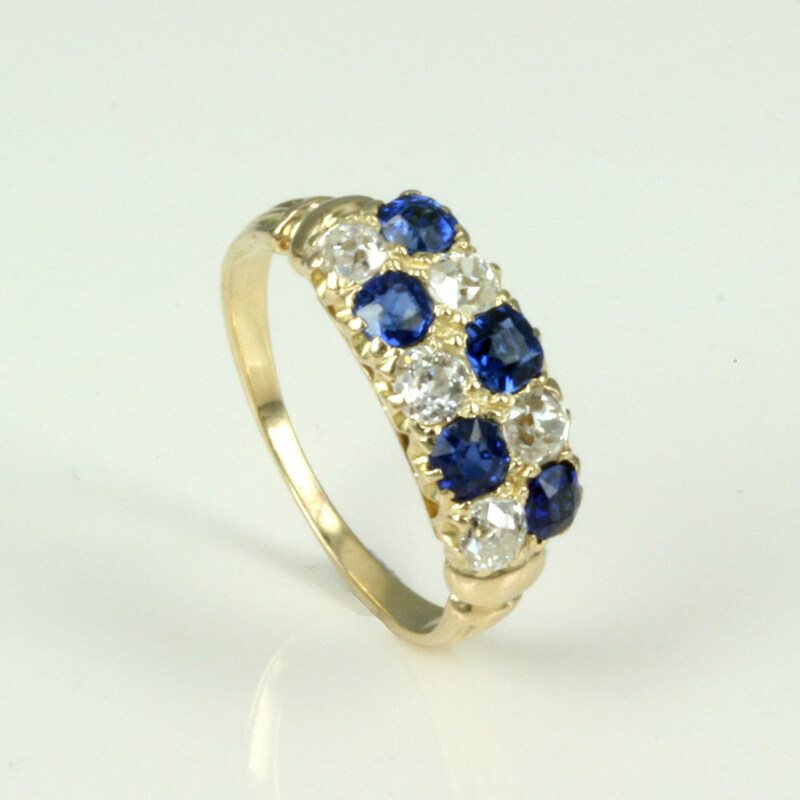 A fantastic 18ct yellow gold antique sapphire and diamond ring.